"How to" books are a dime a dozen. What makes this book special is that it is also a "Why" book. Hullfish sits down with world-class colorists and records not only what they do but why they do it. That's where the magic lies. "How" is the question to ask if you want to become a craftsman. "Why" is the question that creates artists. I bought the first edition for "How" and came away with a lot of "Why." This edition has lots more of both, with material from several additional world class colorists. If you want an inside look into the art and craft of the professional colorist there's no better way to do it in book form. Whether you're learning to be a colorist or just want to understand what really happens when you decide something can be "fixed in post," you need to read this book. 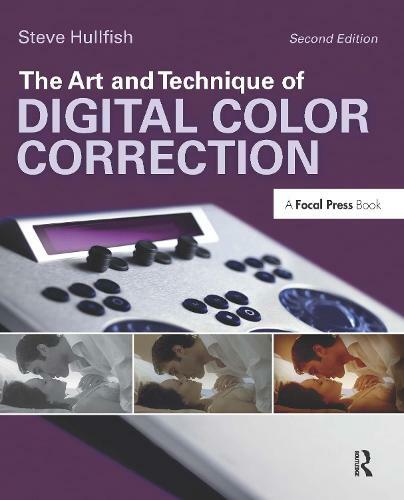 A terrific and much-needed book for anybody serious about digital color correction. Starting with the basics, it helps the reader work through a series of specific, well-illustrated examples, covering all the major software applications, and supports the text with insightful comments from prominent working colorists. All in all, it's essential reading for anyone who wants to improve their skills in this rapidly changing field. - Steve Cohen, editor, Emmy and ACE Eddie winner, author of "Avid Agility."